1. I went skiing at Deer Valley on Saturday. It was a great day! 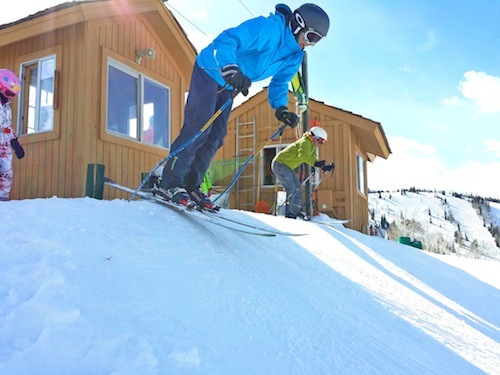 Deer Valley Resort has a Slalom Ski Race course set up so you can challenge your friends to a legitimate ski race. My friend, Brady, beat me out of the gate and down the course but I am ready for a rematch! 3. 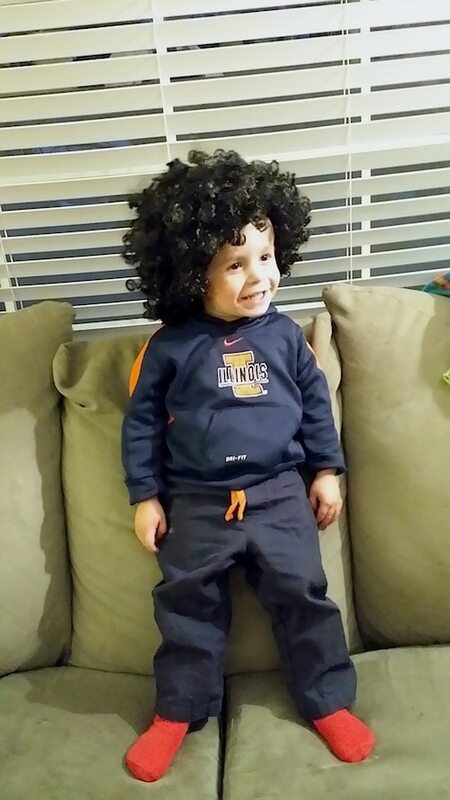 Caleb loved playing with this wig he found with his cousin. 4. 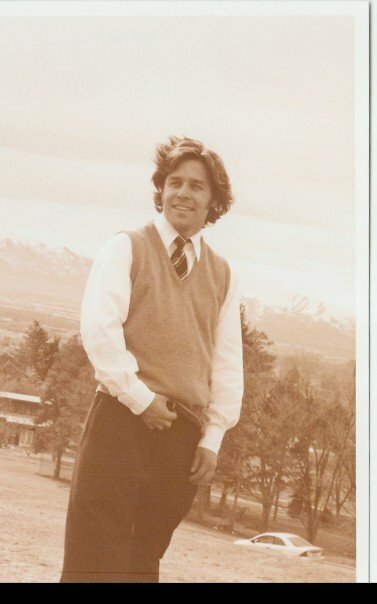 Here is a throwback thursday to my college graduation. And that is not a wig! 1. Last weekend we went to Fireside Dining at Deer Valley. It is my favorite. 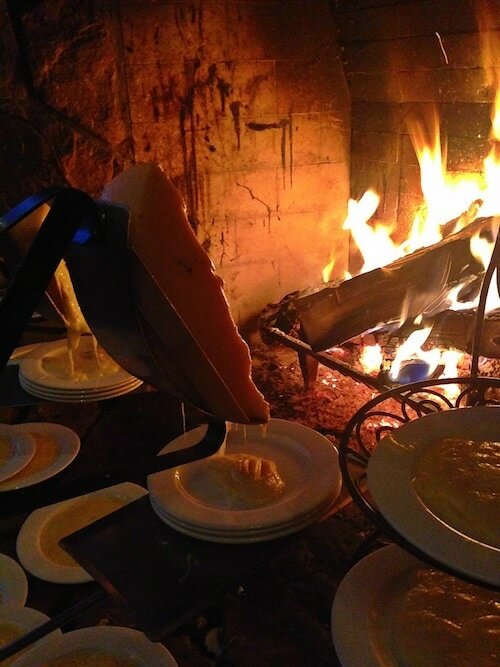 I love the atmosphere and the raclette is to die for…especially with the strawberry chutney. Look at that dripping cheese! Such a fun date night! 2. 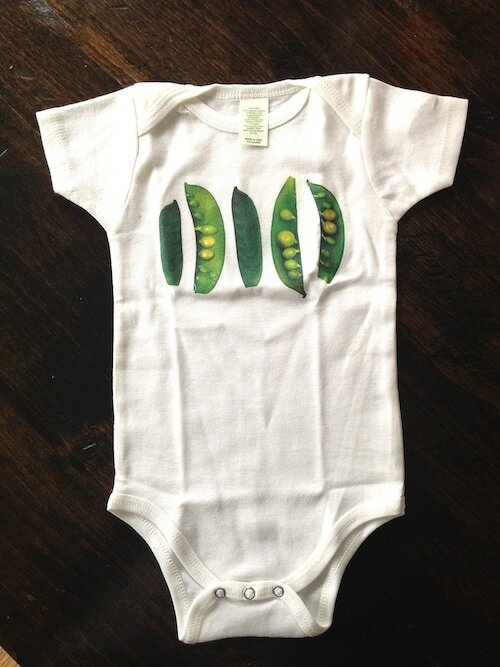 Jenny gave us the cutest onesie for our new little pea! It is perfect! 3. Pizza Quinoa Bites. I’ve gotta try these! 4. 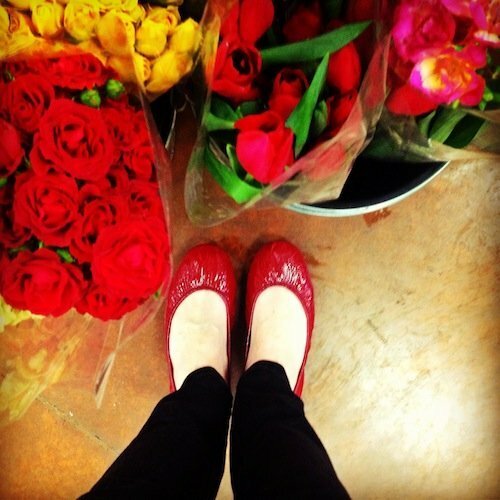 I teamed up with Tieks to Go Red for Women. Heart disease is the #1 killer of women. To help spread awareness, wear red! I am wearing my red Tieks! P.S.-these are my first pair of Tieks and they are everything I hoped they would be and more! 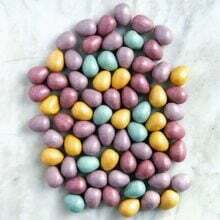 I am in love and want all of the colors! 5. I was in desperate need of a new TV show since we rushed through House of Cards. I started watching Season 1 of Nashville on Monday and I am hooked! I figured I would like it because I am a huge Connie Britton fan, but I am obsessed. It is so good! I am already on episode 10. 6. I was sad to see the Olympics end, but I am SO excited for a new Parenthood episode tonight! Grey’s is new too! I am in TV heaven! 7. 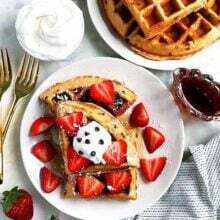 I wish this would magically appear on my plate. 8. We did a photo shoot for Cooking Light Magazine this week. We will be in the May issue so stay tuned! 9. 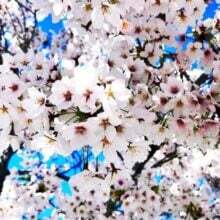 We have been getting a tiny taste of spring and it makes me so happy! I took Caleb for a run and it was good, but hard. I have been doing our elliptical every day, but running is different. I haven’t went on a run since Thanksgiving. Fast forward through the holidays, 17 weeks of a hard pregnancy, and pushing a stroller uphill…not the best combo, but I did it! It felt good to be outside and moving! I hope the nice days stick around. 10. Garlic Herb Bread Twists. Enough said. 11. Sunday night you can find me glued to the TV! I will be watching the Oscars with a big bowl of kettle corn! If you need help planning your party, check out this post. I want those quinoa pizza bites too- yum! Great work on the run! Can’t wait to check yall out in the magazine!! Great pics! I love Nashville too, and the music is really good. Totally adorable photo of Caleb, can’t stop laughing! Those Tieks are so gorgeous and we seem to be drooling over the same food this week! As a huge Friday Night Lights fan, at first I had a hard time seeing Connie Britton as Rayna James instead of Tami Taylor. But I totally love Nashville! I love Caleb such a cutie! I can’t wait to try Deer Valley Resort’s fireside Dining they are on my list of places to go! I’m hoping my backs better by next winter so we could do a little skiing also! Fingers crossed for full recovery by next year! 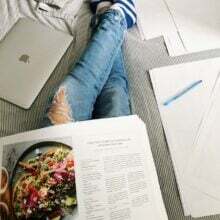 I totally love those shoes they are so adorable and I’m even more excited to see you in cooking light! What a fab week! That’s SO exciting about your photo shoot for CL!! They’re my all-time favorite food magazine; I’ve been a subscriber for about 6-8 years now and have loved basically everything I’ve tried. I can’t wait to see your contribution! May can’t get here soon enough!! Love the Tieks! But wow, pricey! Lucky for you to team up with them – nice perk! Maybe we will see a Tiek giveaway on Two peas soon! !